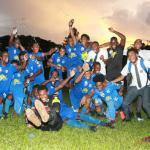 Chaguanas North Secondary appear to have to lost their chance at promotion to the Premier Division for the second successive year, as they are bottom of the Shell/First Citizens Bank Big 5 competition. 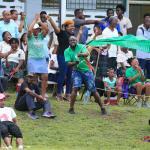 But they did get a taste of Coca Cola Intercol glory today, as Central Zone winners returned the most lopsided scoreline of the competition so far with a 12-0 thumping of Cunupia Secondary in the quarterfinal round. 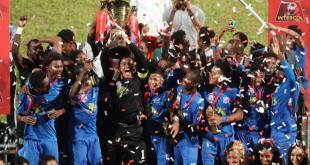 Malick Robinson and Roberto Lambert both got hattricks in the comprehensive triumph. 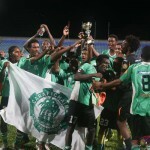 The prize for Chaguanas North is a Central Intercol semifinal date with Presentation College (Chaguanas) next Thursday. 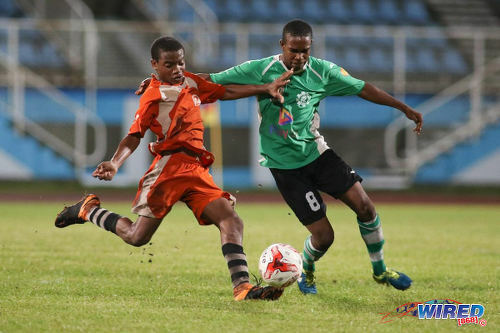 Photo: Chaguanas North attacker Malik Robinson (centre) is challenged by Carapichaima East star Theophilus Bourne during the Central Zone Intercol final at the Ato Boldon Stadium on 20 November 2017. 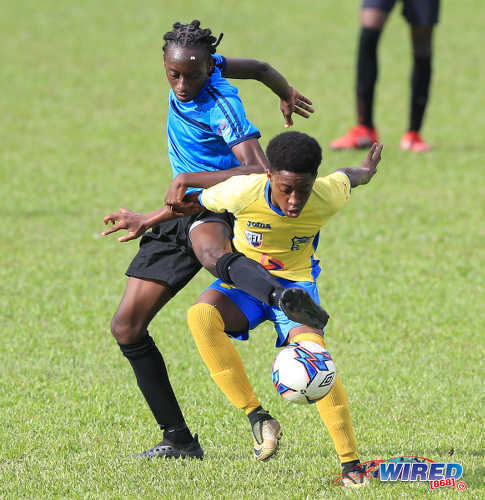 Photo: Speyside High School midfielder Nicholas Sanchez (right) tries to keep the ball from Malick Secondary flanker Kemo Charles during Big 5 action at Serpentine Road on 30 October 2018. St Augustine Secondary 6 (Dorian Sampson , Kesean St Rose ), El Dorado East 1 (Jehu George), Quarterfinals D, Marvin Lee Stadium. 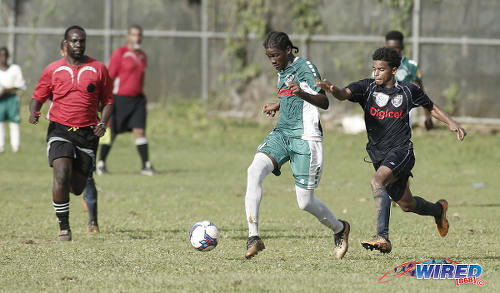 Photo: St Augustine winger Dorian Sampson (centre) tries to escape from QRC midfielder T’shad Selvon (right) during SSFL action in St Augustine on 22 September 2018. Queen’s Royal College vs Blanchisseuse Secondary, North Quarterfinals F, 3pm, Hasely Crawford. Next Dear Editor: Is Griffith’s crime-fighting medicine good for us in the long term?